Home > Reports > FAQ > How is Revenue Recorded in Farmigo? The Farmigo system features accounting tools so that you may track your revenue on an accrual basis. This means that income is recorded when it is earned (learn more). 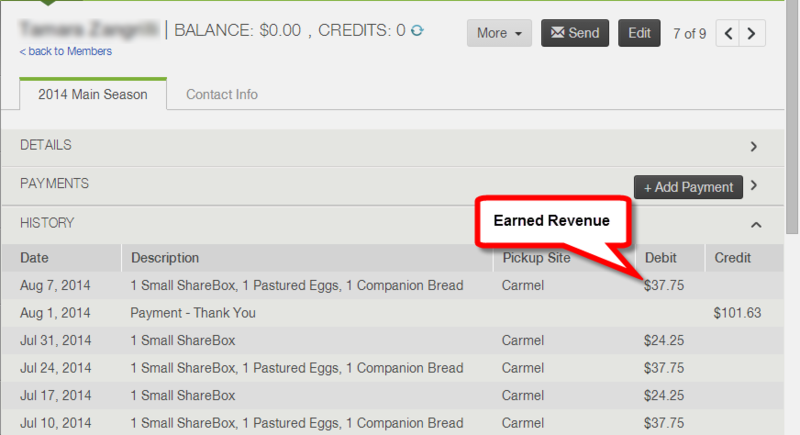 Revenue is considered earned once a member’s order is delivered and recorded as received. Revenue is realized at the time of delivery in order to account for changes that may be made to a member’s subscription between the time that they place the original order and the time that they receive their order. When a member’s order is recorded as received under the History head of a member account, the value of that delivery is considered earned revenue and it is debited from the member’s accounts. The value of the deliveries recorded is then summarized in the Past Deliveries ($) report. The Past Deliveries ($) summarizes earned revenue. 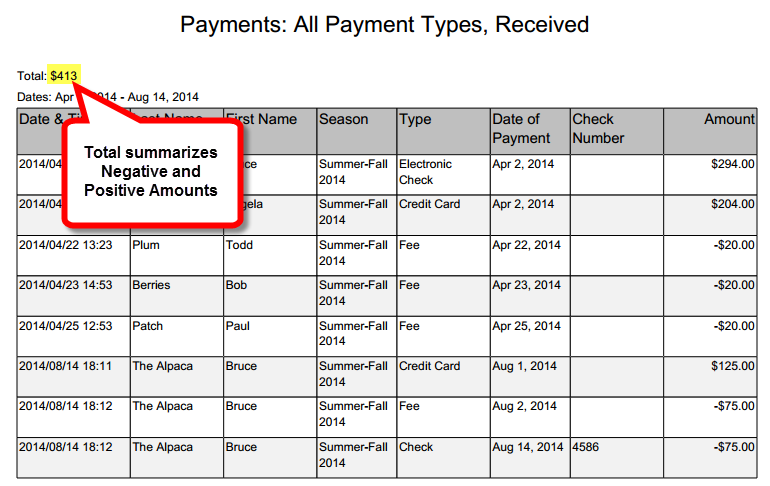 The Payments report summarizes receipts from members and shows received revenue The Payments report summarizes data from the Payment section of member accounts. ﻿Positive amounts for payments received from members and complimentary payments added to member accounts. These amounts are listed as Credits under the History header of the member account. 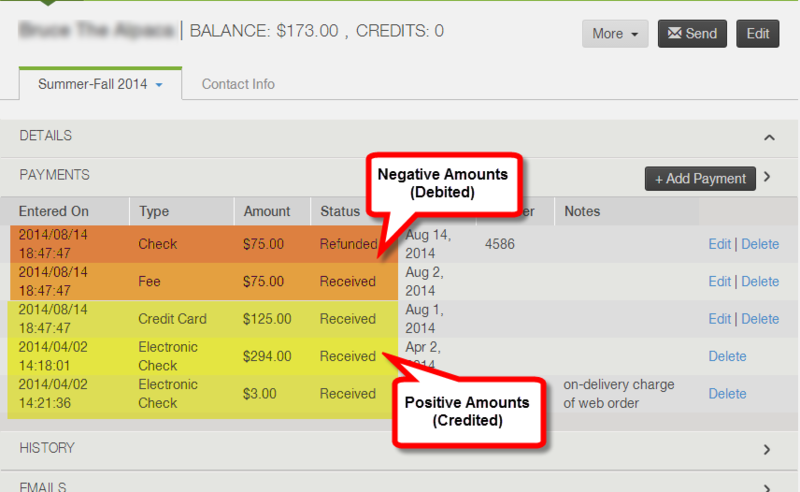 Negative amounts for fees and refunds added to member accounts. 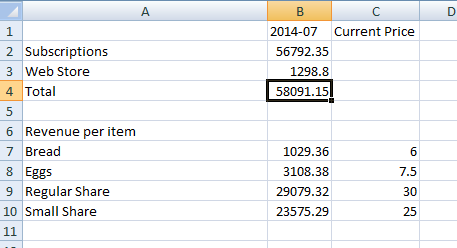 These amounts are listed as Debits under the History header of the member account.